Newly launched Chinese satellite claims to monitor CO2 – but does it? | Watts Up With That? Newly launched Chinese satellite claims to monitor CO2 – but does it? Given that China’s government doesn’t seem all that concerned about their rapidly rising CO2 emissions, and China is currently burning four billion tons of coal per year compared to the U.S. use of one billion, one wonders why they’d bother to monitor it. Seems like a perfect ruse, especially since China has recently begun what appears to be a cold war style build up of military programs, including building islands at sea solely for military purposes. Carbon dioxide (CO2) is one of the major greenhouse gases, and causes great concern due to the rapid increase in its atmospheric concentrations. China launched its first minisatellite dedicated to the carbon dioxide detection and monitoring at 15:22 UTC on December 22, 2016. 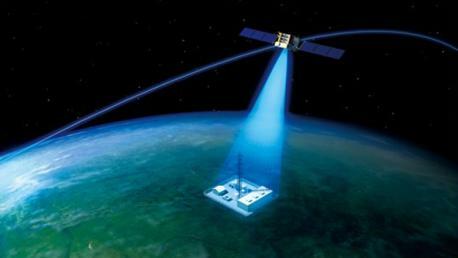 The Chinese Carbon Dioxide Observation Satellite (TANSAT) was designed to focus on the global observation of CO2. For retrieving carbon dioxide from TANSAT observations, cloud detection is an essential preprocessing step. The TANSAT project is one of the National High-tech Research and Development Programs funded by the Ministry of Science and Technology of the People’s Republic of China and the Chinese Academy of Sciences. During the pre-launch study of TANSAT, a cloud-screening scheme for the Cloud and Aerosol Polarization Imager (CAPI) was proposed by a team at the Department of Atmospheric and Oceanic Sciences, School of Physics, Peking University. They noticed that previous cloud-screening algorithms were basically designed to provide comprehensive utilization for sensors that contain multiple channels over a wide spectral range. However, for TANSAT/CAPI, the channels available for cloud screening cover only five spectral bands, which is why such sensors need a more effective method to regroup results from few threshold tests. Their work relies upon the radiance data from the Visible and Infrared Radiometer (VIRR) onboard the Chinese FengYun-3A Polar-orbiting Meteorological Satellite (FY-3A), which uses four wavebands similar to that of CAPI and can serve as a proxy for its measurements. The cloud-screening scheme for TANSAT/CAPI, based on previous cloud-screening algorithms, defines a method to regroup individual threshold tests on a pixel-by-pixel basis according to the derived clear confidence level (CCL). The scheme has been applied to a number of the FY3A/VIRR scenes over four target areas (desert, snow, ocean, forest) in China for all seasons. Comparisons against the cloud-screening product from MODIS suggest that the proposed scheme inherits the advantages of schemes described in previous publications and shows improved cloud-screening results. This scheme is proven to be more efficient for sensors with few channels or frequencies available for cloud screening. I don’t even play a satellite engineer on TV, but given what I know about other build-up areas, you have probably nailed it. PREPARE FOR WAR OR BE A SLAVE !!!!!!!!!!!!!!!!!!!!!!!!!!!!!!!!!!!!!!!!!! I would think that they would be very interested in not having to believe and rely on some other country, most likely the US, telling them how much “carbon” they have been producing without them having any way of checking or challenging those claims. It should also be remembered that much of climate data collected by the US. comes from declassified military satellites. sorry, just the first line was supposed to be in quotes. And the Chinese seem to be following your advice. Perhaps we could blind it to the contiguous USA by directing beams of Lased IR light into it’s camera lenses/sensors as it passes over. 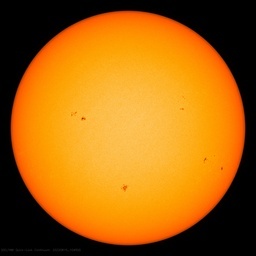 Also watch to see if it changes it’s position in orbit ala the xX37B. That said, everyone has, (wink wink), lots of WX sats in orbit…. Well this new OCCCO2-1 apparent satellite reminds us that we have this OCO-2 (#2) that purports to measure earthly CO2. So in either case, it begs the question: Just how do you MEASURE the molecular species abundance of a gas MIXTURE from outer space where there is purportedly NO atmosphere of any kind ?? For starters, I don’t get the point of PPMV or similar measurements. Who gives a rip about the volume ? What we want to know is out of every billion molecules in a sample, how many are of each different species present. I don’t care what space or volume or pressure they occupy; just how many of each are there; given that it that they are different molecules that we care about; so PPMM for me. And of course there is that assertion, that ” the atmosphere is well mixed ” or if you wish; “CO2 is well mixed in the atmosphere ” What the hell is the difference. ” How WELL MIXED are they ” ?? Do you see how silly that question is. There is only one possible rational answer to the question; how well mixed is the atmosphere ? That answer must be: Any sample taken from the region in which well mixture is asserted, and containing a suitably large number of molecules of each species present, must assay at the same composition; at least to the degree that there is NO MEASURABLE consequence of ANY residual discrepancies between samples. If that is what full 100% well mixed means, then just what is 37% of well mixed, or even 57% or 97%. Those terms are meaningless gobbledegook. The atmosphere either is well mixed, or it is not. And we now know from OCO-2 that it isn’t even approximately well mixed; well as regards at least CO2. The OCO-2 video, demonstrates that the spatial variation in CO2 abundance spans the entire range of compositional abundance that results from a MAJOR climate change event; for example that which occurs seasonally due to the tilt of the earth’s axis. At MAUNA Loa, we see a 6 ppm variation over the space of five months, apparently (who knows) due to the biological growth phenomenon that kicks into gear in the spring. So 6 ppm variation is a MAJOR change in CO2 abundance, as ML can track amounts smaller than 1% of that amount quite routinely. So OCO-2 reveals that the atmosphere swirls with such spatial variations quite routinely, and so far as I know, without apparent cause. I think this is a disaster for GCM climate modeling; all of which apparently presupposes that CO2 is well mixed in the atmosphere so it can be presumed to be the same all over the planet, at any time, and varies in lock step everywhere as a consequence of seasonal climate change. Instead the atmospheric CO2 abundance maps over the globe, and presumably altitude as a band limited continuous function of time and location; which is exactly what Temperature does over the globe. Now satellite scanning yielding reports such as RSS and UAH release monthly, would appear to give a credible representation of a proper sampling of global temperatures. The ground based surface reports such as GISSTemp are no such thing. Quite apart from the frequent inexplicable adjustment to GISSTEMP made for times years past, the reporting stations have no rigorous constancy as near as we can tell, as revealed by the Watts survey of American land based reporting stations. So all that one can say about GISSTEMP is : “It is what it is.” It is a ritual practiced over the years, by somewhat haphazard readings at places that come and go or change from pasturelands, to concrete back yards. So they repeat the process month after month and issue a report, that contains no measurement, that was made by any known person at any known place or any known time. It is an algorithmic concoction, which one can simply call GISSTEMP so long as the same network follows the same ritual. The hazard begins when people start ascribing “meaning” to GISSTEMP. They actually believe that GISTEMP represents something else. It has some deeper meaning. So we shall see if the Chicom’s OCCCO2-1 subterfuge is real, or if it just another origami algorithm. After reading your ‘rendering’ of the CO2 and temperature measurement scenarios, this being a thread on a Chinese endeavour, perhaps quoting Confucius may be in order: “ true knowledge is to know the extent of our ignorance”. Btw. couple of hours ago BBC had a good documentary from New Zeeland , wide range of subjects from tectonics to the mountains’ sheep herding. Fascinating country. I have a soft spot for sheep; in a weird sort of way. Having grown up with quite serious childhood asthma, I simply couldn’t stand to be out doors in spring or summer, because of pollens and other irritants, so the life of a wealthy sheep farmer was not for my destiny. So while the other kids were out playing ‘ footie ‘, I was under my bed reading encyclopedias, or watching the sailboat races or even professional wrestling on the radio. I strung a lot of long wire crystal set antennas all over the place so I could watch the wrestling when I was supposed to be asleep at night. Today, if somebody told me you could watch flying 18 footers sailboats on the radio; and enjoy it, I would think they were nuts. Well how else can you explain how we all learned all the favorite submission holds by watching the fights on the radio. Even today, I won’t show anyone how to do a particularly lethal submission hold, that we used to experiment with on each other just to find out how dangerous it really was. So becoming part of one of the Country’s primary exports was my destiny that led me to these United States of America. I still can’t even believe some of the things I did over here. Unfortunately most of them were never published or exposed to the four corners. One of my fun adventures, was to design an RF S-parameter head to attach to a $65,000 Fairchild Transistor Test set for an Italian semiconductor firm to make S-parameter measurements on a UHF Television front end transistor. Hewlett Packard had quoted a half million dollars for a computerized test setup using their microwave and RF hardware, to measure s-parameters at a few spot frequencies using directional couplers, and similar microwave magic; but only at spot frequencies. In three months, I designed and saw built the production version of the Fairchild tester which they quoted at $125,000 and sold five of them to the Italian company, beating out the HP entry. But mine was much better than theirs (the RF S-parameter head). I could measure S-parameters from DC-10 GHz, instead of four or five spot frequencies. I built my RF test head out of $8,000 worth of standard off the shelf microwave RF hardware; ordered them right out of the HP catalog. I still think that was very clever. But if it hadn’t been for that pesky asthma, I would instead be a retired very wealthy sheep farmer down there on the shaky isles. Keep in mind that the coloring scheme used for the OCO-2 satellite graphics has something like a 20ppm range. Still, what isn’t well mixed with a 20ppm range, is not likely well mixed at broader scales. Since the polar region oceans appear very active at both CO2 exhalation and inhalations; that implies the atmosphere layers nearest the ocean surface have the least and greatest CO2 discrepancies, depending on season. Personally, I doubt there are many countries foolish enough to launch extremely expensive satellites without equipping them for every possible purpose that would be needed. Leaving one curious about whether the satellite transmissions are encrypted. Vulc, did they happen to mention NZ screwing Israel and democratic freedom in the Middle East? ATheoK, I don’t know if English is your second language or what; but I explained in great detail that the range of global CO2 variability revealed (apparently) in the OCO-2 video map, is a huge range; in fact one of astronomical size literally, as the annual earth seasonal cycle due entirely to the astronomical orbital elements of the earth, creates EVERY YEAR a variation in atmospheric CO2 abundance caused entirely by those astronomical orbit variations that is equal to the total range that the OCO-2 video shows is the global distribution at any time. Such a huge range of CO2 over the globe at any time, clearly shows that CO2 in the atmosphere isn’t even remotely well mixed at all; and that is a preconditional assumption in ALL of so-called climate science monitoring and modeling. And Jeff Alberts’ recommendation of his favorite recreational beverage simply did not connect with any informational channel I can detect. Clearly WUWT has its share of readers who simply can’t see the bush for the trees. Actually I stay away from caffeine. It was a joke. I am still waiting for ANY answer to my initial query: How the hey do you measure CO2 molecular abundance in the atmosphere, from outer space, where no molecules have gone before ?? A WAG suggests that only electro-magnetic radiation can connect an atmospheric CO2 molecule, or a O2 molecule, or a N2 molecule or an Ar molecule; etc. to an orbiting satellite, for the purpose of counting each of them. So how do you tell at what altitude in the atmosphere that communicating molecule might be ? Does the satellite call up the CO2 molecule by laser perhaps, at some frequency known to be a CO2 absorption line, and get some sort of answer whose time of flight can be measured by the satellite. As you can see, I know nothing about how to assay any kind of atmospheric gas by radio. I’m quite convinced that Dr. Roy Spencer, and Prof John Christy, do know how to get an oxygen molecule (apparently) to tell them it’s ambient Temperature by radio; but how does one get those molecules to tell you how many there are. Now in my rather irrelevant opinion; Astronomical experimental scientists are among the most clever people on this planet, with more wondrous schemes for getting good answers from way the hey out there in the cosmos, or even close in. The LIGO project has to be the cleverest damn thing anybody ever came up with. So somehow, they are talking to CO2 and other atmospheric gases to find out how many there are on earth from way out there in satellite orbit. So who knows how they do that ?? For Jeff Alberts; I did catch that you likely were a teetotaler, so don’t worry about being branded a caffeinated critter; I did see that sly smirk ! And for mikerestin; your query sent me looking for information; so I discovered that for 2016, New Zealand is a member of the UN Security Council, but without veto rights like the five permanentos. I have not been able to confirm definitively what that UN vote was. I have read seen heard it was 14 to zero with one abstention, and also read seen heard that it was 13 for, one no, and one no show (USA). Either way, I’m embarrassed as hell that NZ would vote, even by misteak for such a scurrilous resolution. Even they could have abstained pleading ignorance or some other excuse. A simple no would have sufficed. My birth ancestry also includes Britishness, so it also frosts me that UK chickened out and didn’t use THEIR veto. Why the hell Brexit, and leave your cajones behind ? But I’m an American now, and it totally pisses me off that this scorched earth crew we have in Washington did what they did. And to listen to that famous Vietnam war hero John (purple hearts) Kerry Heinz blather on for 70 minutes trying to tell Benjamin Netanyahu how the USA has ALWAYS been in favor of a ” Two State Solution “. Hey ! Earth to Mr. Heinz, A two State Solution requires as a necessary pre-condition, that there be ….. TWO STATES …..
Come back and tell us Johnny, when you get an eternal promise from “The Palestinians” whoever they are, that there are already two States; one on each side of the Jordan River. Israel is the one bordering the Mediterranean to the West of the Jordan River, and the other one on the East of the Jordan river, is the place from whence Former King Abdullah drove a whole bunch of Arab malcontents out of decades ago. The entire rest of the Arab world has rejected that bunch ever since, and only Israel has even attempted to put up with them. But back at the table, I can only assume that our first moslem born and raised president put Egypt up to this, and somehow strong armed the Kiwi and the UK into going along. In any case, I plan to let the new NZ PM know (very politely) that I am embarrassed as hell, wondering why they did this. One former labor PM got himself elected by the simple artifice of declaring NZ a nuclear free zone, and then he asked the US Navy to inform them any time some US Navy garbage scow, put into port in NZ and might have some slightly radiated cabbage refuse in the garbage for disposal in NZ. That got NZ dis-invited from the SEATO conference, and participation in joint Naval mutual defense exercises. Brilliant idea to tell the US Navy to go and pound sand. I’m old enough to remember when Only the US Navy stood between my a*** and the empire of the rising sun. So way to go New Zealand, this time it looks like you really fell into the sheep dip ! I have my Nican thermos of diluted caffeine right at my elbow Jeff, so thanx for asking. Carbon dioxide (CO2) is one of the major greenhouse gases …. With that, one knows this is not about science. only or mostly about CO2 is unknown. Given the expense of such an endeavor, it is far more likely to be mainly about “spying.” To conclude otherwise would be to ignore the facts about China, naive to the point of irrationality. with China, it is all about money. The ZiYuan-1 program is focused on Earth resources…. Africa will be one of the largest, if not the largest, image files, no doubt. “with China, it is all about money” the USA also fits this mantra! It might detect CO2 to pinpoint military installations. btw. China is rapidly advancing its space program. Ours is so advanced that it’s even reaching out to the Moslem world. I was under the impression it failed. Bryan A, Does the rocket have the payload capacity? Sounds like it’s past time to get the ASAT and SDI programs back up and running. Although the SM-6 is supposed to be good at hitting low Earth orbiting targets. So what? If the Chinese are going to publish satellite data on CO2, the better. Is there anybody else who does it? My bet would be to track U.S. naval forces, perhaps even submarines if they have the technology. Oh! They have it OK. They just nicked an American undersea drone. They gave the drone back very quickly. I suspect the theft was to cover the fact that they’ve already been slipped full operations details By Highly-placed Others. True. And the USA has some of the most sophisticated and capable satellites in orbit. For how long? The Chinese seem to gain considerable momentum. Money and ideas are not infinite. Who knows. The US has set the example of what’s possible, so far. It’s only a matter of time, probably not a lot of it, before other countries catch up to our known capabilities. Then with a little imagination, they’ll develop new ideas of their own. …. Money and ideas are not infinite. Uh, you just named the two things that are. If they actually produce any CO2 maps, it would be enlightening to compare them to the OCO-2 maps. I’m still troubled by why the recent animation released by JPL doesn’t appear to resemble the earlier 2D maps published. Most, if not all, Chinese science programs, as with industry, are dual purpose. And that works both ways. Military factories also make consumer goods. Some of which are themselves both, as with Norinco’s assault rifles for export, just semi-auto versions of their standard issue military firearms. Mexican drug gangs however receive the full auto variants. The surprise would be if China was not using the satellite for spying. It is ironically amusing that they are using Climate Change as a cover story for the satellite. I guess the Chinese have a good sense humor. And they can homogenize, sterilize, pasteurize their C02 data to show that China is a perfectly C02-free nation. And the North Koreans are working diligently on their anti-global warming nuclear warheads. They should be careful, one of those warheads might accidentally go off in their capital city. Right under glorious leaders overweight backside. Nuclear warheads will work as an anti-global warming measure. A brief period of extreme warming, and increased CO2 emissions followed by an extended [very extended ?] period of cooling and reduced emissions. I am less interested in their spy satellites than I am in the killer satellites. We keep some replacement satellites in orbit, but the Chinese can see those, too. I could comment on anti-anti-satellite programs, but then I’d have to kill myself. Burn before reading, then slit own throat. And if you were to comment on anti-anti-anti-satellite programs you would have to resurrect yourself? A few years ago my faculty was consulted about satellites that could accurately measure the CO2 from individual smoke stacks. I think the only reason we were involved was so the contractor could tap into grant money. Anyway, they were interested in us doing the telecom part. Someone else would do the sensors. As far as I can tell, the satellite(s) never got beyond the planning stage. It seems to me that smoke stack emissions of various sorts provide useful commercial intelligence. Industrial secrets are a major focus of China’s spies. It would be a bad mistake to think China is only interested in military intelligence. Let’s hope they steal the Uber tech and install it in all their military motor vehicles (esp. the tanks). Same as with Soviet and now Russian intel operations. Industrial and military espionage go hand in hand. Some Soviet operations showed creative, low peasant cunning. But we were often only too glad to grant them access, which our more open society made easier anyway. We are fueling the military build up and expansionist ambitions of our foe with a $500 billion trade deficit which MUST be stopped now! The world’s most populous nation and soon-to-be largest economy is rapidly turning into the planet’s most efficient assassin. Unscrupulous Chinese entrepreneurs are flooding world markets with lethal products. China’s perverse form of capitalism combines illegal mercantilist and protectionist weapons to pick off American industries, job by job. Trump is on the case. We can start to reduce the deficit by stopping buying Chinese windmills and solar panels and selling them our high BTU, low S, cheap coal. The release states it is a mini satellite. If it is indeed small would it be able to carry instruments of capable of spying, cameras of long enough focal length, high resolution, powerful radars, etc? Reread the article – it refers to a spy satellite but makes no mention of its size. It could be a Key-Hole size system. The little cube sat descriptions make no mention of high resolution capabilities other than their 1 kg weight and that implies no high-res capability. I don’t know whether the satellite is mini or maxi, ie bus-sized, but mini satellites have maxi capabilities now. It’s one way of defeating ASATs. The bus and avionics fit into a cube less than 2 meters on a side. This is nowhere near the size of a modern photo-reconnaissance satellite. Simply looking up “tansat” gives sufficient pages to provide basic facts and detailed renderings of the satellite design and internal payload configuration. The instrumentation is mainly spectrometers. The resolution of the imaging is 0.5 kilometers. At best, it might be able to distinguish one city block from another, but nothing about what might be built on that block. It is ridiculous to suppose this would be anything other than what it is. While it may be possible to infer useful agricultural or meteorological information from the data, that is as far as its utility goes for intelligence collection. Please get a grip and gather the relevant information before jumping to wild conclusions. Believe it or not, the Chinese have able scientists and do serious research. guangpu chengxiang weixing (Ultra-resolution multispectral imaging satellite), has a 1.4m resolution imager. The satellite isn’t shown “imaging a ground based communications facility”. It’s shown communicating information to its base, ‘TanSat’. It even states this on the caption for the picture in the linked press release: “IMAGE: This is TanSat”. Yes, it is essentially a “term of the art” to show imaging satellites with their image footprint delineated, especially for differentiating pushbroom from whiskbroom systems. It amazes me how quick this readership is to comment on things outside their area of experience. It might be, but China already has a long series of reconnaissance satellites. It’s not clear why they would need a new cover story. For once I agree with you. A lot of commenters here are jumping on the conspiracy band wagon when Occam’s Razor would suggest taking the report at face value. This sentence makes “taking the report at face value” ridiculous. Also, no one I’ve read here said anything about a “conspiracy.” China and China alone is the alleged deceiver, here. I see it is dangerous to be nice to Stokes. For starters, I would agree with the statement that “Carbon dioxide (CO2) is one of the major greenhouse gases,”. I have only seen a few people here that deny that CO2 is of any consequence. What is at issue is to what extent CO2 contributes to warming. That is, what is the climate sensitivity to a doubling of CO2? As to my remark about “conspiracy,” what I meant was that many were assuming the worst with little evidence to support their assumptions. Since you seem to be the unofficial site historian, I do hope that you will have the integrity to apologize if it subsequently turns out that the press release is accurate. If anyone is completely buying what the Chinese say “officially”, well, I have some swamp land near me that is for sale. And I do have a trump that will drain it in my sleeve. Make me an offer. debt and GDP and all the rest that bummer n the rest have been skiting about for decades? Maybe they just want to measure CO2 in order to sell more solar panels and wind turbines to the gullible west? Invent the illness and sell the cure rightaway. I heard that Mark Steyn will be filling in for Rush on Wednesday and Thursday. Up to mod. Maybe they couldn’t get funding unless they worked in something about global warming in the program. Given its’ orbit it would only have use as a imaging platform. Boy, correcting the grammar and spelling of English majors is just too easy these days. copy editors are cheap. you do it for free. Haven’t they heard of the Mauna Loa Observatory? I think they’ve got CO2 covered. Oh wait, they’re looking to see who to blame for the most CO2 emissions? Never mind. Of course these countries spy on each other not sure where the surprise is ,every satellite sent up these days is either communications or research supposedly . Another OT we are being bombarded here in OZ with claims that Obummer reckons he would have won the election , from where I sit he and his cronies including the msm are still in denial ! Even if it was for CO2 who is going to believe the data – From China, the one nation that has the most to gain by PROMOTING CO2 Thermogeddon. The whole AGW scam weakens the west why would China not want more of that? China does not enforce American information sources but it is an interesting lapse in political correctness. They do enforce the Pinyin spellings of various things, though. But Nick and QQBoss are correct, apparently – interesting that there are a few “lapses” in the tyranny’s insistence on conformity. No, it really is Peking University. Because both Peking University and Tsinghua University were established and famous long before the national acceptance of Hanyu Pinyin, they both were allowed to keep their Wade-Giles romanization (I are a professor [not of English] in Beijing currently). BS! The US is the dominant world military power. When China try to throw its non-existent weight around by committing ‘acts of war’, the US discretely sends another nuclear carrier for an unplanned exercise. It is big ocean. The world depends on the US Navy to keep the sea lanes open. Every country with a blue water navy exercises with the US navy, including China. When I was working in China, China committed an ‘act of war’ against a US surveillance plane. At about the same time, the Chinese news is full of stories about China joining exercises near Hawaii. The capital ships of the 21st century might prove to be super-boomer subs, ie underwater aircraft carriers (SSBGCVNs), capable of firing torpedoes, launching ballistic and cruise missiles and long-range, recoverable, reusable drones, plus delivering SEALs. Thus, they could engage in shore bombardment, fight fleet actions and deploy special forces and Marines, just like ships of the line, battleships and carriers of yore. Drones is really the wrong word. Typically, drones are stupid and fly straight lines or simple, pre-planned routes. UAV is a better term. But, sadly, drone has stuck. The United States is not an empire. The prosperity that China enjoys is based on trade not military conquest. You are free to believe what you want. The Chinese government is a communist government. It will always lie, big time, as and when it is in the best interests of China. You can see that with its militarised islands. The CO2 satellite is merely a spy satellite. Naked prejudice…and ignorance. Impervious. You should pour it on canvas and make it into raincoats. One should remember that there is an international agreement allowing overflight of satellites which incorporate “National Technical Means”, ie if you can figure out how to map the other guy’s perineum the dude can’t do anything about it under international “law”. It would be anything but prudent to launch a multi-hundred million dollar satellite without covering all the bases. guangpu chengxiang weixing (Ultra-resolution multispectral imaging satellite) has a 1.4m resolution imager.